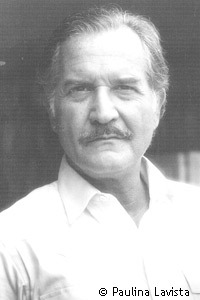 Before his death in 2012, Carlos Fuentes wrote more than twenty books, including Destiny and Desire, Happy Families, The Eagle’s Throne, The Death of Artemio Cruz, and The Old Gringo. He served as Mexico’s ambassador to France from 1975 to 1977. He received many awards and honors, including the Rómulo Gallegos Prize, the National Prize in Literature (Mexico’s highest literary award), the Cervantes Prize, and the inaugural Latin Civilization Award. He has also been the recipient of France’s Legion of Honor medal, Italy’s Grinzane Cavour Award, Spain’s Prince of Asturias Award, and Brazil’s Order of the Southern Cross. His work has appeared in The Nation, Vanity Fair, and The New York Times.